Companies have been measuring customer satisfaction levels for many years and yet many of these same companies have not seen significant improvements or changes. One of the reasons is customer satisfaction research has been a static activity. Satisfaction levels are measured once a year or less frequency. The data is discussed and reviewed but is not integrated or used to drive business decisions. The result is a lack of action. Even worse customers make complaints which companies then try to address weeks after any useful resolution is available. In fact this cycle of asking customers for feedback and doing little or nothing with it is one reason why most customers don’t respond to surveys. 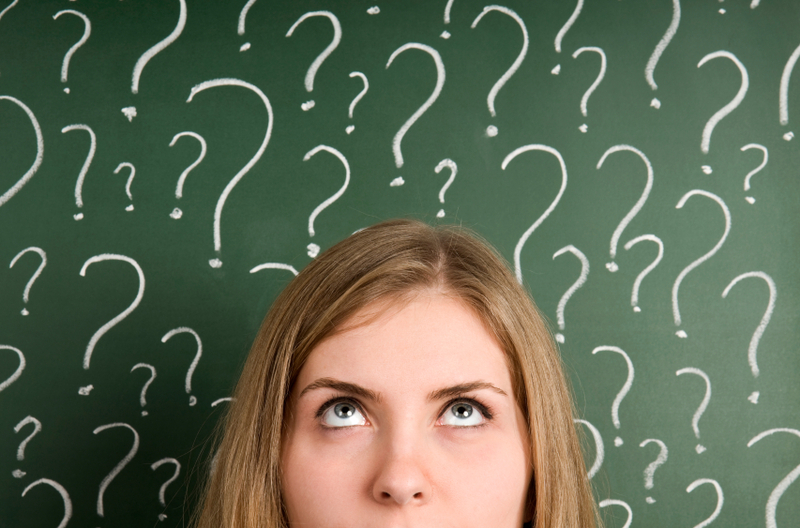 Why should customers spend the time providing feedback when nothing meaningful will be done? One of the challenges facing companies trying to implement a more real-time approach in the past has been limited resources to apply to the challenge. 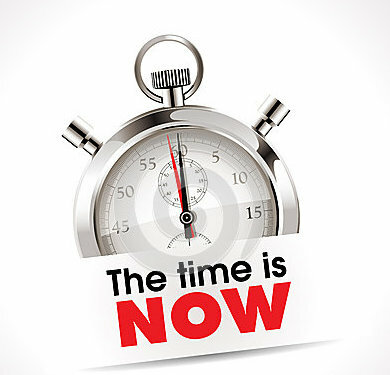 Real time has required surveys been run more frequently and systems to be available to provide that feedback to the right people at the right time. Thankfully with the technology available today, a number of companies are providing customer centric organizations with new tools to gather insights and feedback on the go. A great example comes from the healthcare industry, more specifically hospitals. Patient Experience is something that Hospitals can no longer ignore as a large percentage of their at-risk income under the affordable care act comes from their patient satisfaction levels. Eric LoMonaco, a great patient centered leader, from the Community Hospital of the Monterey Peninsula (CHOMP) in Monterey recently implemented a real time feedback program using QR codes placed strategically around the hospital. The challenge they faced was satisfaction was measured by an external body that would provide reporting after the fact. The result was patients left the hospital with problems that were never addressed. Eric saw the opportunity to implement a system that would allow CHOMP to gain real time feedback that could be directed to leaders in the hospital and responded to in real time. The impact of this system on patient satisfaction levels has been dramatic and immediate. 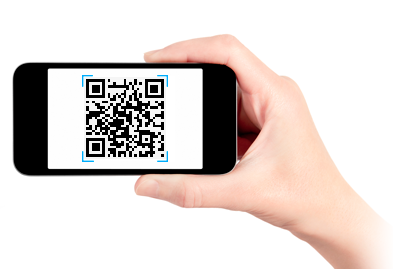 By scanning a QR code or simply sending a text message directly to a leader in the Hospital, Patients are able to provide real-time feedback that leaders can address immediately as issues arise rather than after the fact. Eric shares the results CHOMP has been achieved so far in a great article he wrote here and a webcast here. With this type of technology available, the excuses for real-time customer satisfaction improvements are running out. It is the combination of a customer centric mindset, coupled with technology and processes that will determine the winners in today’s business environment. To learn more about creating the right culture in your business, check out our book, The Customer Culture Imperative. The world of business has rapidly transformed over the past 15 years. From a world where businesses controlled supply, controlled the message and could dictate terms to customers to one where customers have a much louder and more influential voice. While we have always been advocates of businesses that act in the best interests of their customers, it seems market forces are now compelling all businesses to behave this way. So why do we believe 2015 is the year for Customer Centricity? 3 reasons. 1. Customer Feedback Systems are going enterprise wide. Companies have been measuring customer satisfaction levels for many years. Often these surveys have been conducted once a year, presented and then forgotten about. This type of survey methodology is rapidly changing, becoming real time and supported by great technologies to get the right feedback to the right person at the right time. In fact technology is enabling enterprise wide feedback mechanism that were never previously viable. While this is a great positive trend for companies that realize they must become more customer centric, it is not enough for these to remain only the domain of customer service or marketing. Being customer centric is a way of doing business that is not only about sales, marketing and customer service. It involves every department understanding their role in creating a great customer experience. Many forward thinking CEOs recognize this fact and are working on transforming their organizations to meet this challenge. 2. Convergence of customer experience and employee experience. Today there is a recognition that employee experience impacts customer experience. If employees are not given the opportunity and tools to change the way they work, the customer experience will suffer. Being customer centric means understanding that every interaction with customers allows them to form an impression, good, bad or indifferent. It truly requires everyone in an organization to be engaged in delivering great experiences. The bottom line here is that you cannot create truly engaged customers without truly engaged and passionate employees. 3. Recognition that Customer Centricity is a Leadership Competency. Being customer centric, requires leadership that is customer centric. Leaders need to be engaged with customers first hand. Leaders need to immerse themselves in the customer’s environment and experience what customer’s experience. I wrote about Telstra’s (A $20billion telecommunications company) Executive team engaging in this practice previously here. We are seeing this become the norm in many other large businesses around the world. There is also increasingly a realization that leaders of all disciplines need to develop their customer centric thinking and leadership competencies. We were recently honoured that our Book, the Customer Culture Imperative was nominated as one of the Top 20 and later short listed after a public voting period to the final 5 for the Marketing Book of the Year – 2015. Perhaps some further proof that Customer Centricity’s time has come! So she has hired people with those characteristics and developed an operating model that links the data supplier with an “insight manager” and the stakeholder (decision-maker) to solve a particular customer problem and gain real insights into current and future customer needs. This group provides insights from customer value analysis, churn analysis, market share changes, communication effectiveness of the company and its competitors’ marketing campaigns, financial modeling of key competitors as well as analysis of qualitative customer feedback. Liz says “In research we have changed from the rear-view mirror to headlights” and with access to a panel of 15,000 consumers whose behavior is tracked, she can put together focus groups within a day of the request. Her group proactively shares analytics and insights on customers and competitors throughout the company using weekly bulletins. It also reacts to requests from decision-makers in the business to research, analyze and develop insights on particular customer and market situations. This really is a great model for the customer insight lab of the future. Rather that seeing this as an isolated research function, forward thinking companies are building a multi-disciplinary team of people focused on using deep customer insight to help move business forward. Does your organisation know more about customers than your competitors? Instead of valuing quick time to resolution or processing high call volumes, Zappos looks at the percentage of a time an agent spends on the phone. Agents are expected to spend at least 80% of their time in customer-facing communications. This measure – called personal service level – is a way to empower the team to utilize their time how they see best promotes customer loyalty. Reps who achieve this target get receive rewards, while those who fall below the 80 percent line are coached. Did the agent try twice to make a personal emotional connection (PEC)? Did they keep the rapport going after the customer responded to their attempt? Did they address unstated needs? Agents are expected to achieve a 50-point average or higher. Again, agents earn incentives for meeting their goals, while under performers are required to take extra training. Zappos monitors “abandonment time,” or periods when an agent has a session open even though the customer already disconnected from the chat. Carder said sometimes agents do this purposely to avoid responding. This strategy of looking for idle chats zeroes in on the cause of unproductivity. When agents aren’t productive, customers wait longer. And the longer they wait, the more apt they are to abandon the session. Zappos uses a program called Panda to combat absenteeism. Employees receive a point for every day they miss work or come in late. Staff with zero points in a given period receive a varying number of paid hours off. These hours can be accrued and stacked for an entire paid day off, Carder explains. 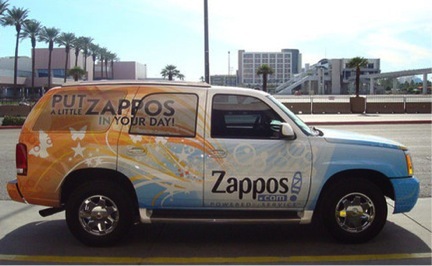 The primary take away is that Zappos created metrics that emphasize creating a relationship with the customer rather than rushing them through the call. At the same time, these KPIs still successfully improve performance and make employees feel appreciated and rewarded. This is what call center metrics look like when they are designed to maximize value for customers, rather than minimize costs for the company…..
Research and experience show there are 4 stages to getting and keeping a customer culture: Initiation, Implementation, Embedding and Reinforcement. In my last two posts I outlined the actions to take at the initiation and implementation stages. In this post I focus on the 7 actions to take during the embedding stage. The focus of this stage is on institutionalizing the customer culture through supporting systems, on-going training, increased employee empowerment and accountability of all individuals and teams for delivering an improved customer experience. This often includes organization structure changes, more open office designs, images of customers taking precedence over images of products, customer invitations to corporate meetings and cross-function teams evaluating new market opportunities. Key performance indicators measuring the level of customer focus are formalized for performance reviews and designing personal development programs. The power to make decisions on behalf of the company shifts to all employees within an agreed framework. This new empowerment and accountability is sometimes hard to accept by long-standing employees. Some companies have used a “buddy” approach to help less experienced staff gain new skills and confidence. Culture change is not a “bolt-on”; it is a “built-in” process. Effectively done, it can’t be “unbolted”. Measurement covering the breadth and depth of the organization is necessary to determine to what extent customer culture has been built in. Ongoing measurement is part of customer culture embedding and provides a frequent benchmark of customer engagement performance. It guides how the organization needs to adapt to changing market trends and customer needs. Remuneration systems and promotion is formally tied to customer culture behaviors and customer engagement performance. Documented case studies of successes and learnings are often used to demonstrate successful customer engagement experiences. My next post will outline the actions required to reinforce the customer culture and avoid the complacency and arrogance that frequently occurs with sustained success. This is a great short video interview with Tony Hsieh of Zappos discussing how the concept of culture and customers come together. Also thanks to Robert Reiss, host of The CEO TV Show. The culture of an organization dictates how it will view customers and how it will treat them. If everyone is expected to understand who customers are and what they value, then people naturally start doing this. Culture is a form of social pressure, it is the way you are expected to behave in a group environment, hence it is a very powerful way for leaders to create an environment of success. Customer culture specifically looks at how much attention is being placed on bring the customer viewpoint into all decision making. It is a proven way to drive better business results as it ensures the business is aligned with its market. 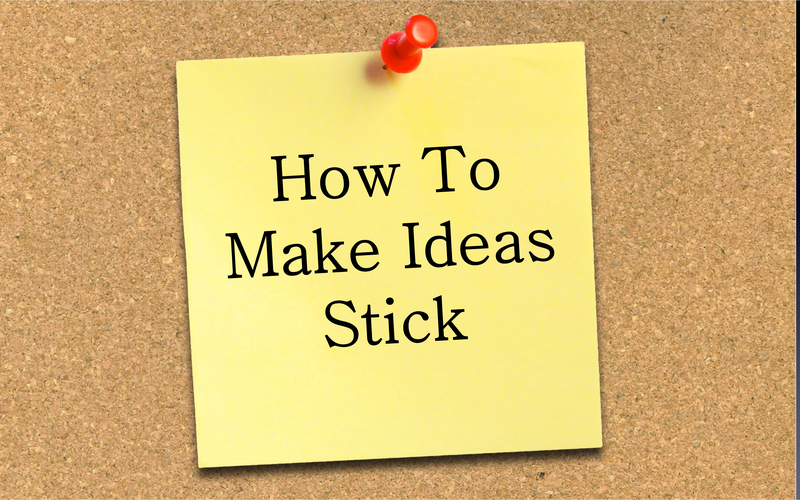 A great habit that gets everyone thinking is to start every meeting with a customer insight. 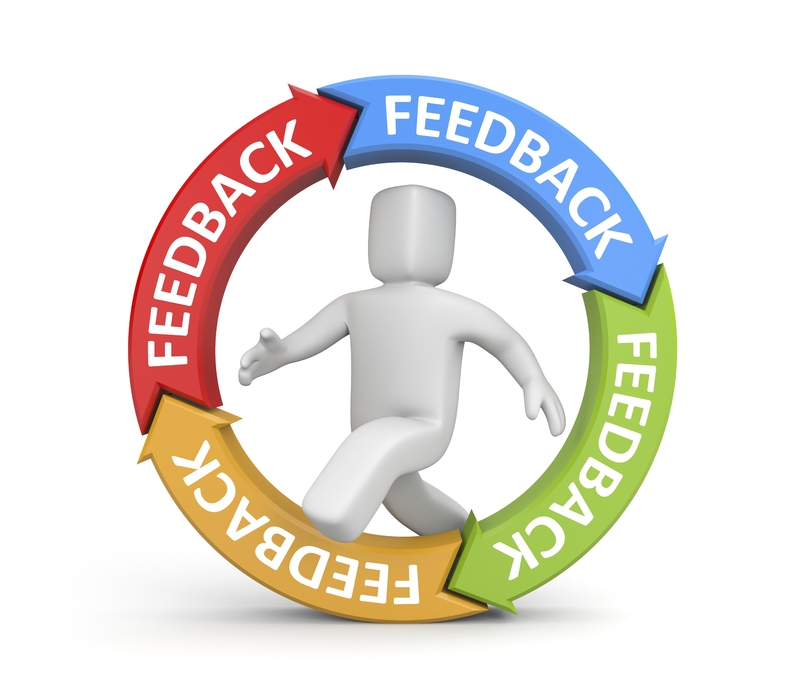 Share one piece of feedback you’ve collected, one idea you have heard directly from a customer. These insights and stories can come from anywhere in the company. It does not have to be a deep conversation – just a way to get in the habit of brining the customer viewpoint inside before getting on with the rest of the meeting’s agenda. Have someone share their own recent customer experience. Was it a positive one? What made it positive? Why did it stand out in their mind? How does it affect the way they think about that company and would it influence whether that would continue doing business with them? What does it mean for your company? This simple exercise is a great way to build customer empathy in the team. By thinking like a customer you can make changes that will drive increases in value. Steve Jobs and his leadership team conducted a similar exercise and recognized how dissatisfied they all were with their mobile phones. In their experience, phone’s were difficult to navigate, complex and basically not user friendly. This created the drive and inspiration to develop the iPhone. Create a regular opportunity for senior executives to report on what they learn from their own conversations and interactions with customers. There maybe extra leg work to translate what they heard into a useable insight, but it will be well worth the effort. Create an ongoing forum for people to share what customers are saying in the form of a communication piece to the whole company. It should be in story form but can include statistics on key customer metrics ie things that are important to customers that your company helps them achieve. For example LinkedIn tracks how many new connections it helped people create on its professional networking site each day. It should also include the top frustrations customers have when doing business with you. This highlights to everyone the priorities in terms of maintaining and improving customer satisfaction levels. What other practices do you use to drive a great level of focus on customers?